An existing wall at border of Mexico. Photo via Congress. 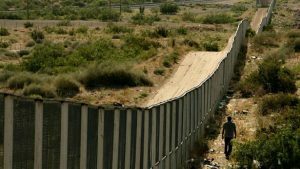 President Trump’s new 2018 budget asks for $2.6 billion to begin building a wall along the border of Mexico. To follow through on his pledge to combat illegal immigration, Trump also is requesting money for 500 new Border Patrol agents and 1,000 new ICE agents and officers. In his new budget, revealed today, Trump said he’s exploring ways to calculate “net budgetary effects of immigration programs and policy” before implementing big changes. Posted: 5/23/17 at 12:47 PM under News Story.